There is some confusion about 221 (g) refusals for US Visas from Thailand. A 221 (g) request is a refusal to grant a US Visa without further evidence. 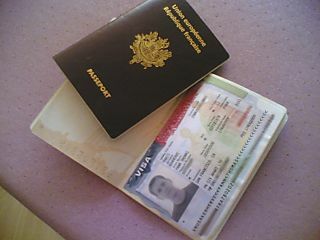 When the Consular Officers are deciding whether to issue a US Visa (for our purposes we will look at it from the context of K1 Fiance Visas, K3, or CR1 Marriage Visas) they are essentially performing a due diligence search in order to ensure that the applicant is who they say they are and are traveling to the USA for a valid purpose (in this case the reason for traveling is a family relationship to the US petitioner). Some couples become quite distraght when a 221 (g) is issued and it can be quite inconvenient particularly in instances where the applicant is originally from a distant area of Thailand. This can be especially troublesome if the applicant’s household registration (tabien baan) is in a distant locale and it is difficult for them to travel there. Often documents are required from the local amphur office in th disrict where the applicant’s household registration exists. Although it may be a routine matter for the Embassy to issue these type of requests, it can be a major endeavor for the Thai applicant to obtain the necessary documentation. 221 (g) refusals generally allow the applicant one year to obtain the requested documentation before the Embassy will destroy the file. Failure to respond to the request for evidence could result in the underlying petition being cancelled and the process to begin anew. To avoid 221 (g) refusals it may be wise to enlist assistance of an immigration attorney in an effort to forestall a 221 (g) denial. It should be noted that even with assistance of counsel a 221 (g) refusal may still be issued and further documentation needed. Consular Officers have wide discretion as per the doctrine of consular absolutism and therefore requests for further documentation should be taken seriously and responded to in a timely manner. Cheers for the useful info – I had fun reading it! I always love your blog.